Makira Island (earlier – San Cristobal) is sparsely populated, jungle-covered island – possibly the wildest large Solomon Island. Most people here live in coastal villages. The rugged rainforest in the interior part of the island is almost free of human influence. There are stories about some tribes still living there and even about the cannibalism traditions still alive there – but these as well could be just legends. Just like legends about kakamora. Some tales often seem to represent something more than just legends. Such are the tales about kakamoras in the central part of Makira. According to these stories kakamora is small creature similar to a human – but by far not ordinary human. Kakamoras are very small – some are 1.4 m tall – these are more characteristic for the other Solomon Islands. But on Makira kakamoras are especially small – just a bit over 15 centimeters large. Kakamoras go naked and have dark skin although some are white. They have small teeth, long hair up to shoulders and even up to knees. Some say that the whole body of kakamora is hairy. Their nails are very long and very sharp. These small creatures are told to be as strong as 3 – 4 men – and men in the Solomon Islands are not weaklings at all. Nevertheless, they can be easily wounded – their weak spots are buttocks. Kakamoras reportedly have disgusting odor. Kakamoras speak an unintelligible language, they are timid and shy and in general considered harmless. But they may become very dangerous to stray children or other lonely travelers. Legends tell that they might start beating one of their own tribesmen and he would weep like a child. The traveler would think that there is a lost child in the jungle and would look for it. Finally, traveler gets lost and hears kakamoras sitting high in the trees and mocking him. There might be much worse ending – kakamoras may attack and stab with their sharp nails and eat their victim. There are also stories about unsuccessful attempts of kakamoras to steal children from villages. But if a lonely traveler feels that kakamoras are bothering him, it is enough to wave a white cloth. Then all these creatures are terrified and run away. Kakamoras supposedly live in remote limestone caves in the interior of Makira. More stories are from the western part of the island – Arosi land. They eat nuts, fruits and are especially fond of possums. These forest creatures cannot make fire themselves – but are not too afraid of fire either. They have been noticed stealing firebrands from the fires made by humans and playing with them. They seem to have also a queen or king. Kakamoras are bending low when running. But at the same time, they are seen dancing – groups of kakamoras have been seen dancing in moonlight or also in heavy rain. Some tell that they are even singing. There is a popular traditional dance – play in the Solomon Islands, imitating a legendary dance of kakamoras. Supposed kakamoras are dancing in accompaniment of dull notes of a conch shell. Suddenly canoe people arrive across the waters and small people of trees are running in panic. Local people not always are eager to tell stories about kakamoras and even less – to show the supposed places where they live. Often this issue is considered to be tambu – taboo, and, of course, many people just consider this to be nonsense not worth talking about. There are though heard legendary stories about some kakamoras captured by the most skilled hunters. Those who manage to capture them might get magical powers from kakamoras. According to legends, kakamora were living on Makira when people (e.g. current Melanesians) came here. Kakamora then retreated to mountains without any serious resistance. Similar stories are heard in many other islands of Melanesia – other Solomon islands, New Britain. Several groups of small people still live in New Guinea, Flores and other locations of this region. Thus it is possible that legends about kakamora refer to a tribe of such small people, living here before the coming of current Melanesians. As time passed, they turned into mythical beings in the tales of Bauro, Arosi and other local people. Most researchers and also many local people consider that kakamora is just another invention in the rich collection of Solomon Islands fairy tale characters. Makira islanders have noticed that sightings of kakamoras almost ended in the early 20th century when many local people obtained firearms. Then firearms were forbidden around 1920 and in a few months time there came first reports about sightings of kakamoras – they again were stealing fruits in gardens and seen near villages. At this time many villagers believed that this is just a matter of time when someone will catch kakamora and show it to white people. Many expected that they will receive large financial reward for this and were combing the forest in the search of mythical beings. 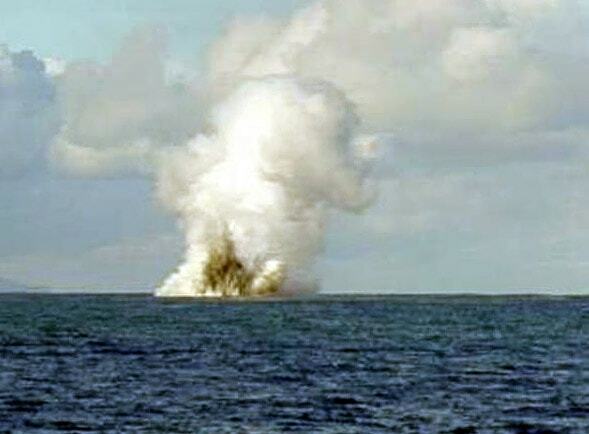 Legends of Makira people show: it is very possible that the limestone caves in the central part of the island really may hide interesting evidence of the past of Solomon Islands. There are no known sightings of kakamora by Europeans, but at least one – Charles Elliot Fox (he described this in his book "The Threshold of the Pacific", 1924) – saw traces of these small people. He was traveling through the western part of Makira with a group of Arosi people. One of the locals, who was going ahead of the group, saw kakamora in a river they were going to ford. As the group reached this river, Fox found raw, half-eaten fish and few small, wet footprints on a dry stone in the river. Most frequent reports about the sightings of kakamoras came from western Makira, Arosi land. Even in the mid-1970s, Arosi people reported about a kakamora caught by their hunters. It escaped after several days. Stanley G.C. Knibbs. The Sawage Solomons as They Were and Are, 1929. C. E. Fox. The Threshold of the Pacific: an account of the Social Organisation, Magic, and Religion of the People of San Cristoval in the Solomon Islands. London, 1924. Solomon Islands belong to comparatively little known and little explored countries of the world. Biological, archaeological and geological research still provides new exciting information about these islands and many more discoveries are expected in future. 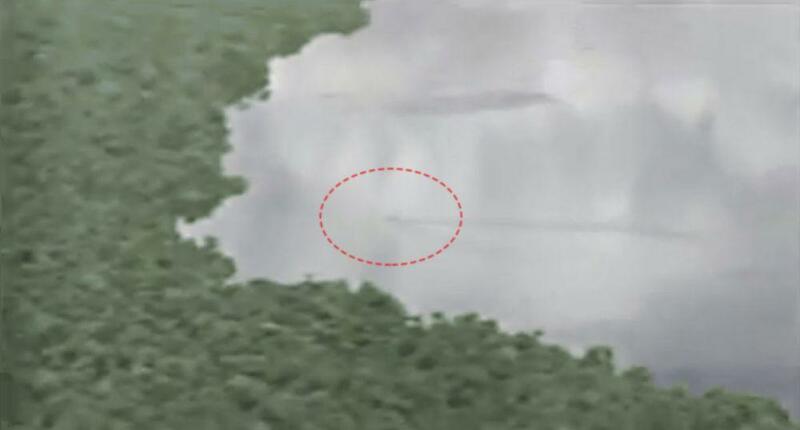 Purported image of mokele-mbembe in Lake Tele. Is it the monster or elephant? / Colorized screenshot from the footage of Japanese expedition led by Tatsuo Watanabe, 1987. Cryptozoology is very exciting pseudoscience – a discipline which stands between true science and folklore. It deals with legendary animals which seem to exist but their existence has not been proved. Autobiography of a missionary in the Solomon Islands and the New Hebrides (Vanuatu). Collects forty-three historical or traditional stories from the Pacific Islands, including creation myths and stories of gods, heroes, and ordinary people.